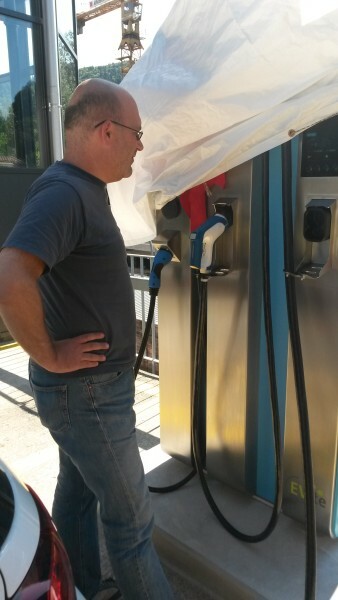 it took about one year of deliberations, many test drives and us sitting on his porch, drinking red wine and g&t’s, discussing ev concepts and questions for him to be completely convinced to switch over to electric. 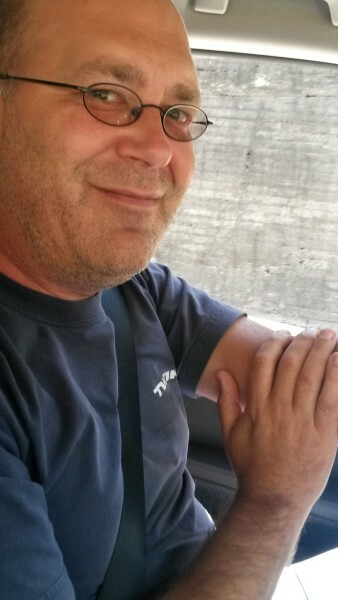 for about 9 months now, he’s had a daily commute of about 100kms plus various trips to his company’s hq. 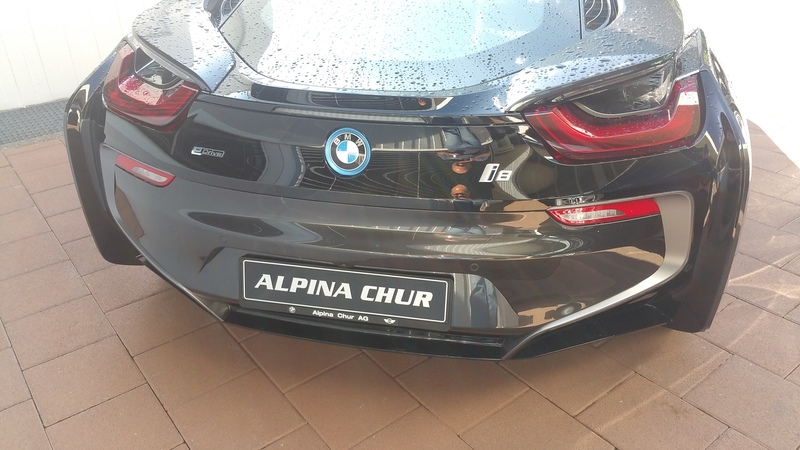 according to him it’s definitely much more fun to drive than his 550hp-monster and his fuel and service savings are up to 500 CHF a month(!). 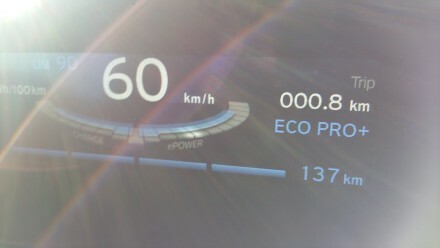 i’ve always interested in doing some hypermiling with this car and see how far one could get on a charge. 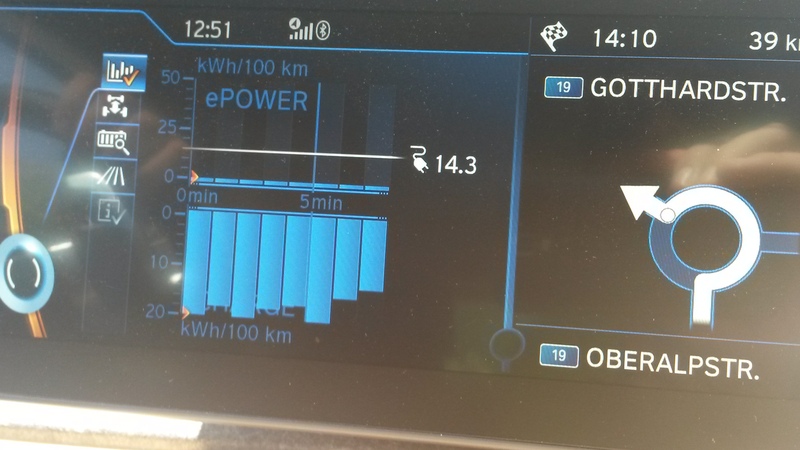 my friend was interested to take his car out of the commute-comfort-zone and see what happens when you go way further than 50% DOD (with me as his ev-consultant in case of problems). initially, i planned this hypermiling session as a two-day event with us staying somewhere nice in northern italy … but since i’ve been traveling a lot again for work, decided to shorten things down to a one-day-trip crossing the swiss alps. after some planning (with many assumptions), i settled on a tour taking us to the alps and attempt to cross swiss 4 passes on one charge > see the map below. we met saturday morning at 06:45 and entered our first destination. 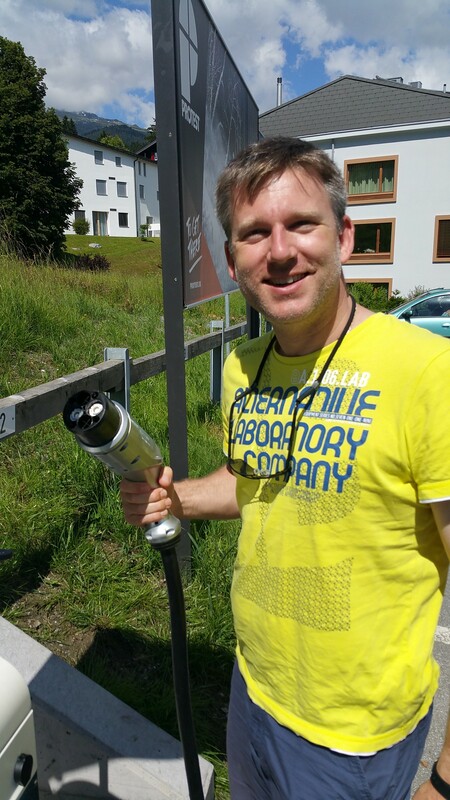 it was interesting to see my fellow (neo-)ev driver already having first pangs of range anxiety. 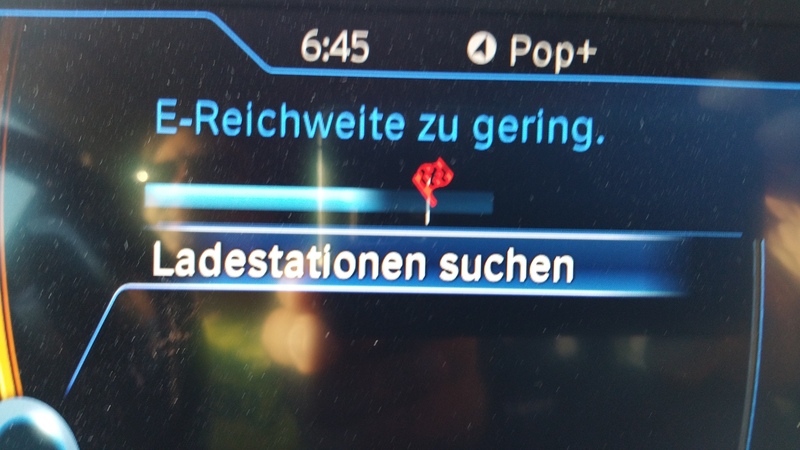 are we really going to make it? 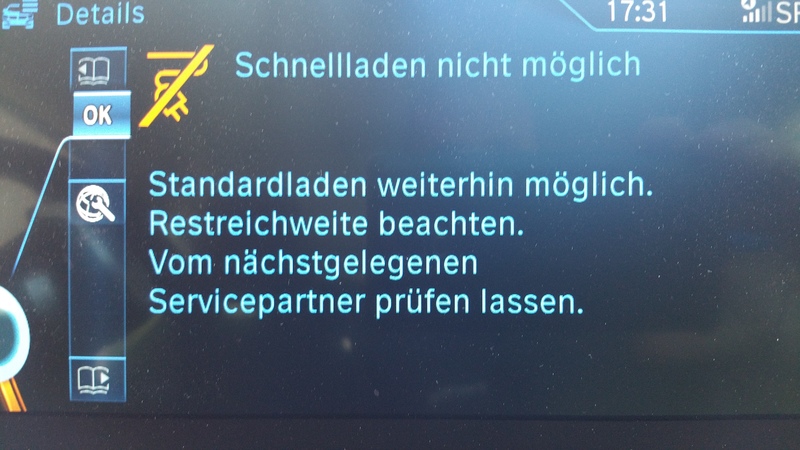 there is an engineering mode display for the i3 – i was curious to see what kind of information was available there. entering this mode reminded me of nintendo-style cheats from the 80’s 🙂 this mode just let me in one layer and didn’t really help much. back to our trip – i had planned to mix about 70% motorway with some scenic routes on our way to chur, our first charging station for today. 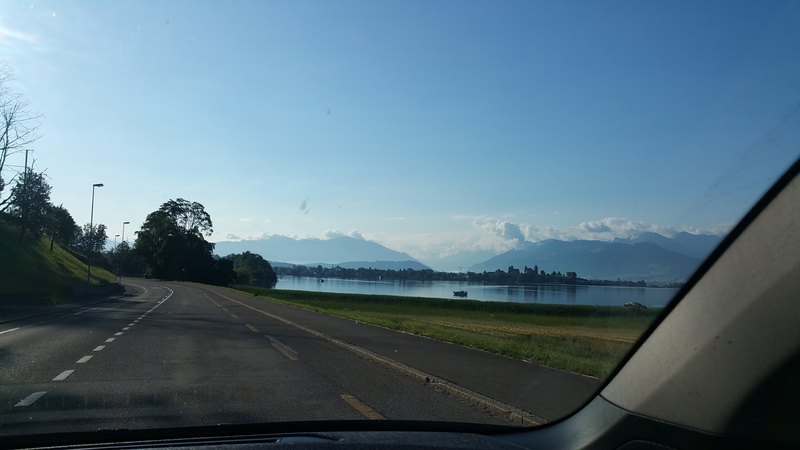 one of these scenic routes took us from zurich to rapperswil, along lake zurich. thanks to the beautiful weather today, this was a real treat! 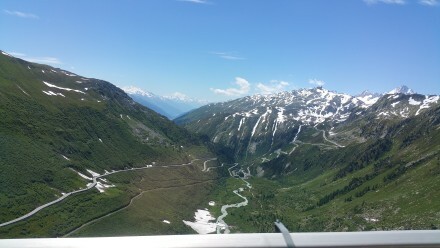 back on the motorway, we drive towards chur and after 100kms, finally, even our i3’s trip computer was convinced we would make it and the small checkered flag turned white. Oh yes! We’re going to make it! 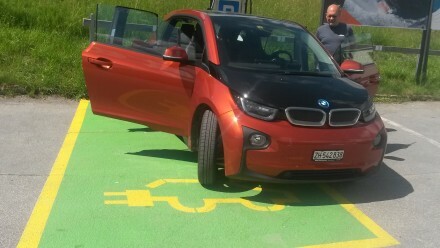 with 15kms left in the battery, we arrive in chur and back up to the charging station. usage of this ccs station is free – part of bmw’s commitment towards e-mobility. 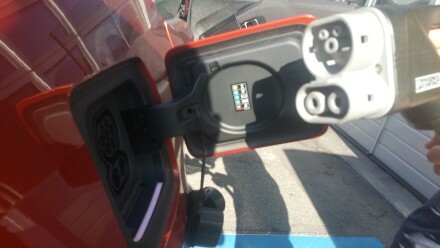 i3’s standard configuration is a standard single-phase 3.7kW AC on-board charger via a type2 car-connector. 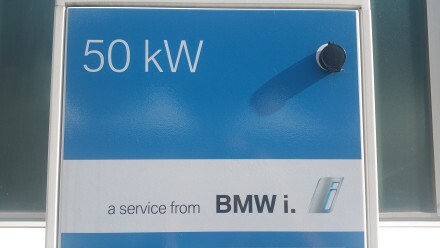 given the fact that type2 connectors can – theoretically – go up to 43kW, one would expect to find plenty of additional AC charger options to add on bmw’s options price list. another option i3 owners can add is DC charging via a CCS connector. 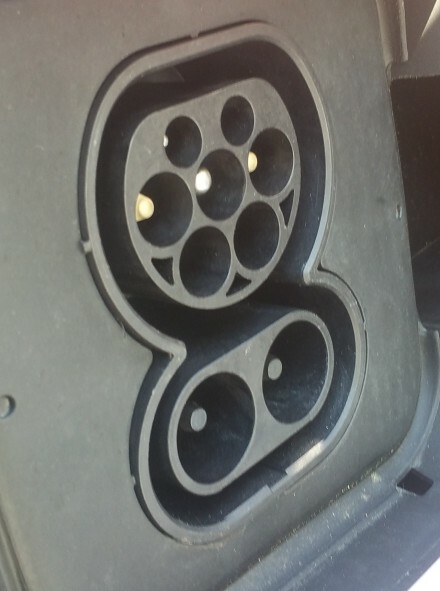 an unwieldy connector owing to high throughputs and high amperage – usually connected to a 2″ diameter cable. below is our i3’s charging port with all available options present. whilst i usually understand why standards are the way they are – i don’t get why a ccs combined plug doesn’t carry ac (or dc via config) contacts. if you would combine max DC amps&voltage with max AC/DC specs from the standard type2 connector you could easily get to 120+kW charging. let’s see if this is a 2.0 “feature” of CCS. 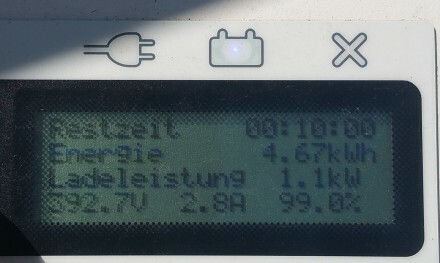 after connecting the car to the charging point, we are are greeted with an estimated charging time for a 80% charge. 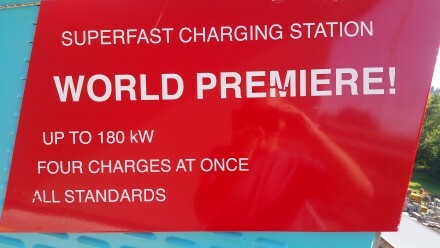 this is due to the fact that up to a SOC of 80% batteries can be charged at near maximum saturation rate. but why does the charge speed taper off above 80%? 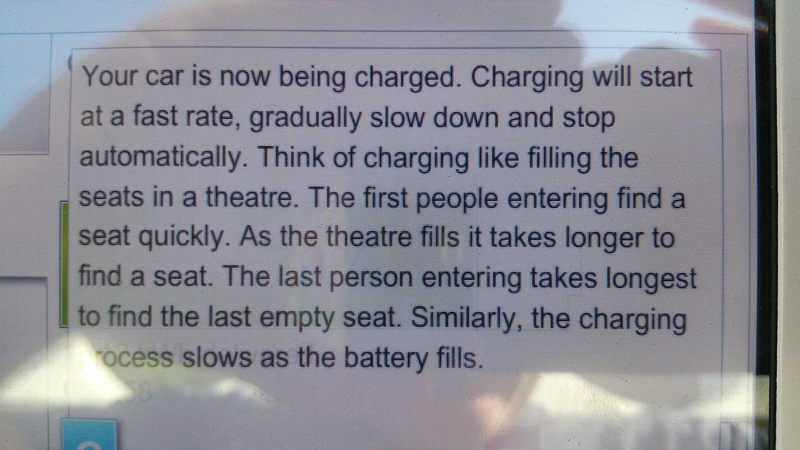 this charging station has an answer for this question! 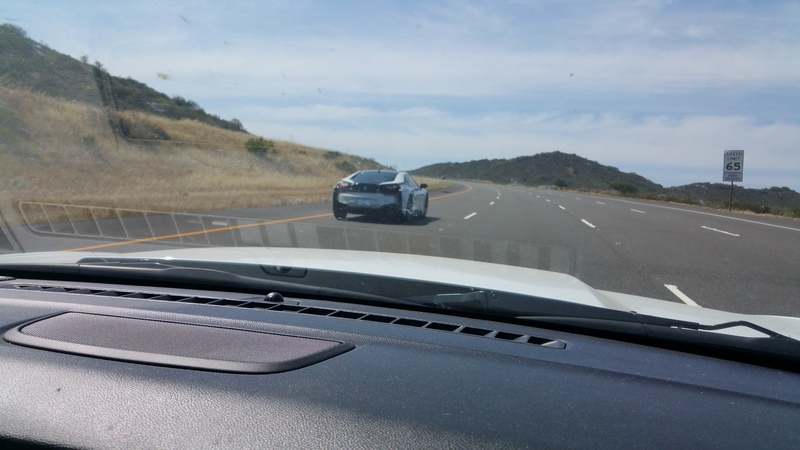 i8, beautiful… but not an ev! 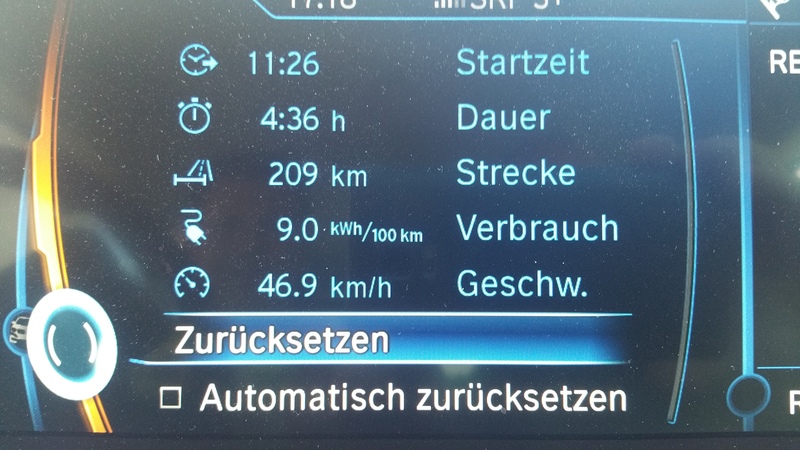 another thing i don’t get: why do phev makers sell them with an average consumption based on the first 100km? 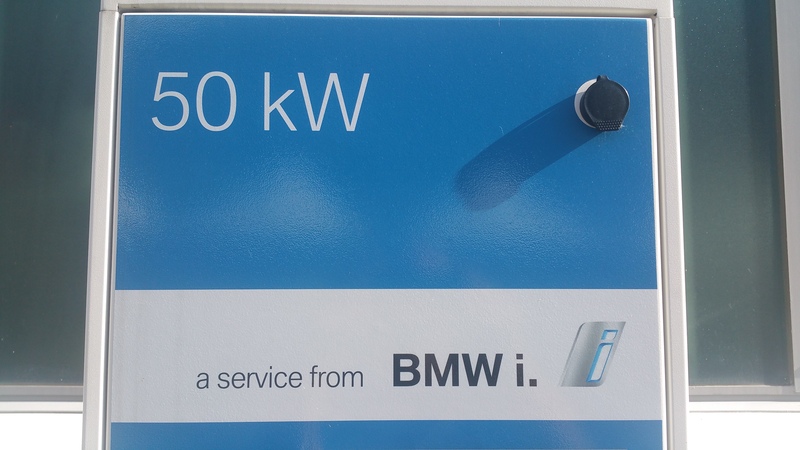 if you don’t charge your car after the battery has been depleted, consumption will be considerably higher than the 2.1l/100km advertised by bmw for the i8! 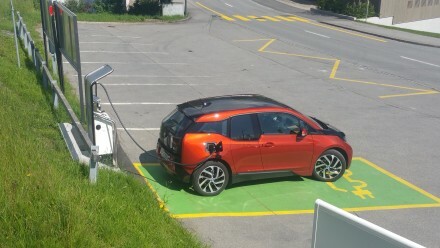 my plan is to charge to about 90-95% using this charging point and top it off just 20 kms further down the road, but 500 metres higher than chur – we would never have made it to flims (our next charging station and starting point for our 4-pass adventure) on the first charge. 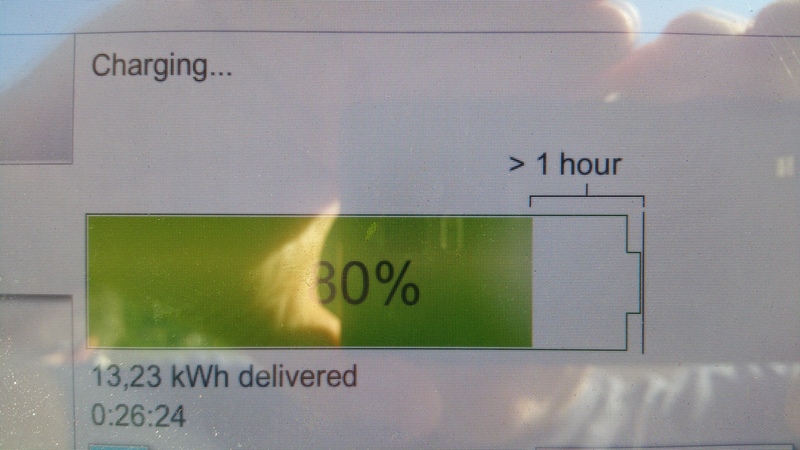 fortunately, 80-95% takes just another 20 minutes. 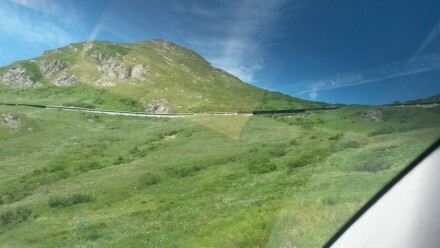 we have a breakfast with local dried meat and other delicacies whilst our car is charging in sight. 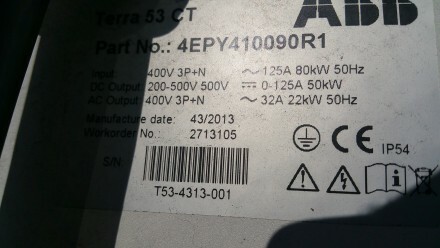 since we’re trying to get to 100% SOC for our 4-pass adventure, we’re willing to wait for the battery to be fully charged. after finishing our (late) breakfast, we head back to the car, reporting 99% SOC. 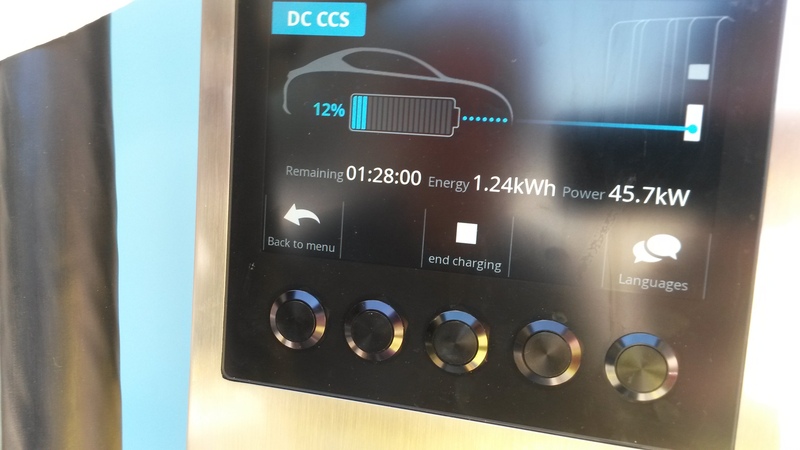 since i’m a sucker for additional information, i’m happy that these charging stations offer more, raw information on the charge state if you know which buttons to press… in this case you can see that our battery is indeed nearly full – with just 1kW flowing into the batteries. 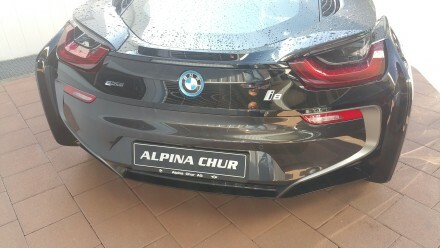 for the last 10 minutes, we prepare the car for a longer session without us stopping – using fresh alpine air! 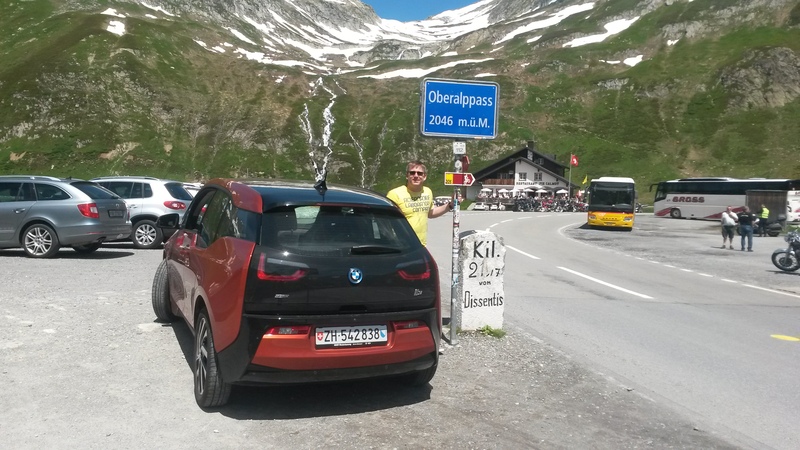 after just another 8 minutes, our charge is at 100% and we get ready for our first pass – the oberalp pass. 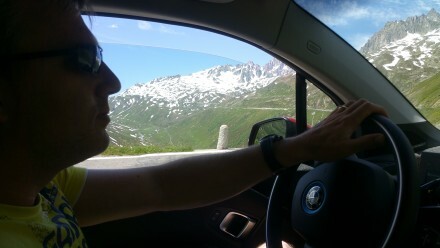 marc lets me drive to show him how to achieve maximum efficiency when driving across a mountain pass. 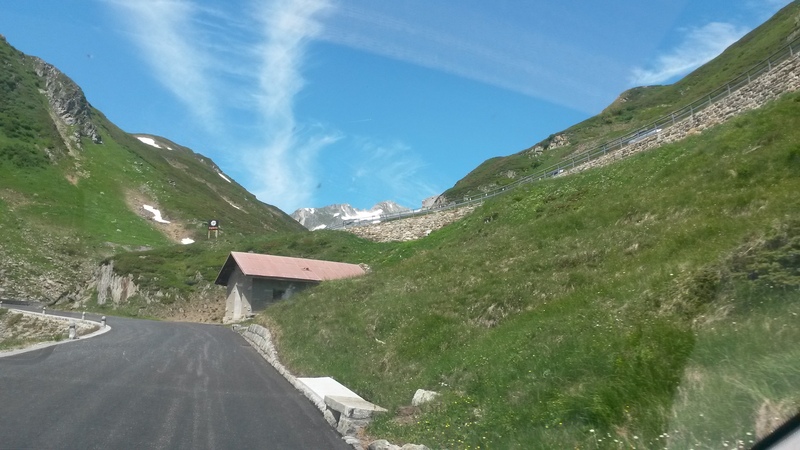 we settle into a very relaxing climbing mode where i explain to marc how to optimize uphill acceleration & consumption whilst not pushing petrol cars too much. After Flims: Oberalppass, here we come! 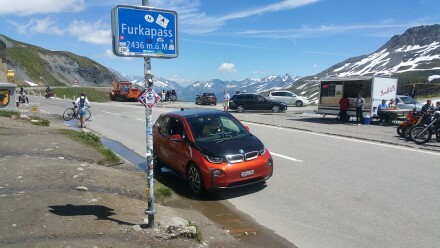 with 80kW max propulsion we’re very agile compared to other cars crossing this pass! 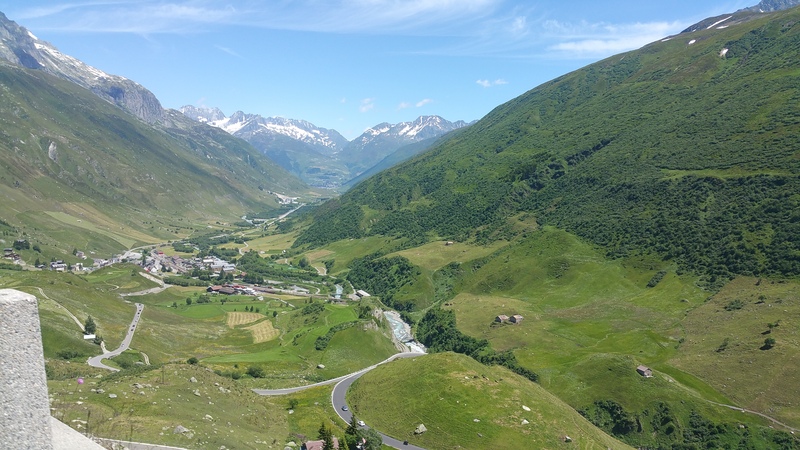 we climb towards 2000m+ altitude – we’re munching heavily into our range which was calculated along our last charge – to be honest, i no longer look at the range calculations since i know they are currently off by many, many kms. 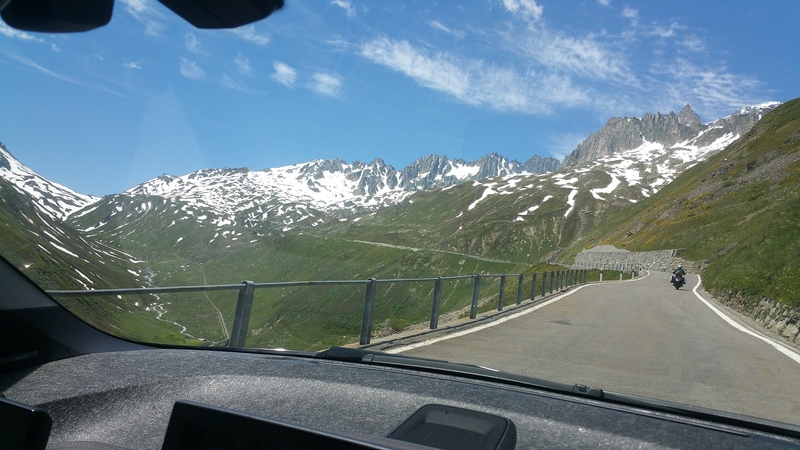 i’m going to hand the steering wheel back to marc after the oberalp pass, in Andermatt – on our way down i can show him how to benefit most from a descent in an ev. 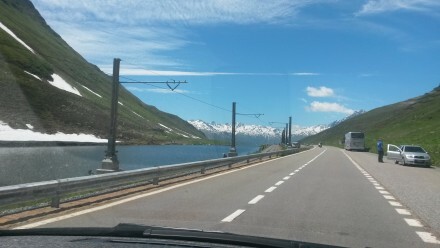 in the background of the picture above is the furka pass at 2436m altitude. 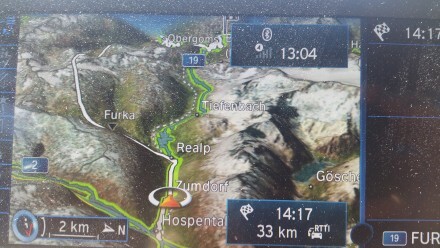 we’re currently at 2046m and will descend to andermatt at 1444m before attempting to climb the flüela pass > let’s see what our on-board computer will show us on our way down and back up to the pass. 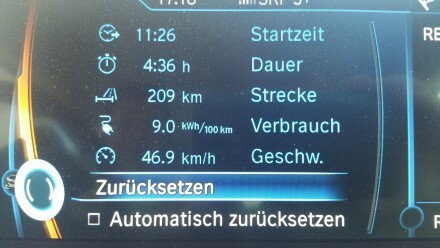 bmw’s recuperation is very good > with our batteries at 25+% DOD, we get up to 70kW(!) 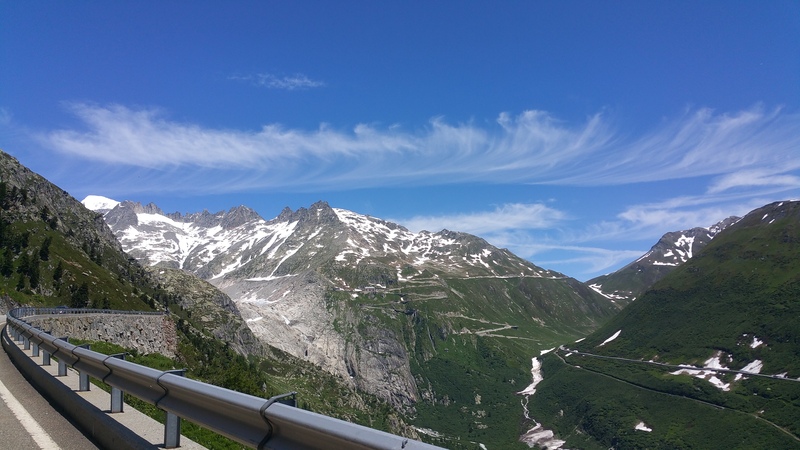 back into our batteries when breaking for hair-pin bends. 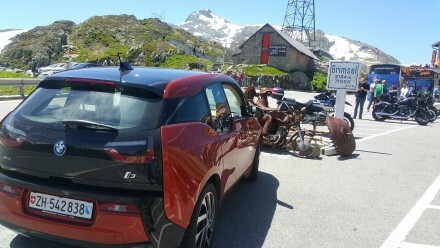 the beauty of electric motoring! i really like this car’s performance and comfort. it proves that these factors needn’t be connected to excessive weight. in andermatt, we change seats and marc starts driving towards the flüela pass. zooming into our route, i discover that bmw’s sat nav has been basing it’s range calculations on an assumption which doesn’t match our plans: instead of driving over the pass, it wants us to use the furka-oberalp railway to save energy! we ignore the sat nav when it wants to take us to the entrance of furka-oberalp’s car shuttle train service and are very interested what kind of impact this will have on our range. 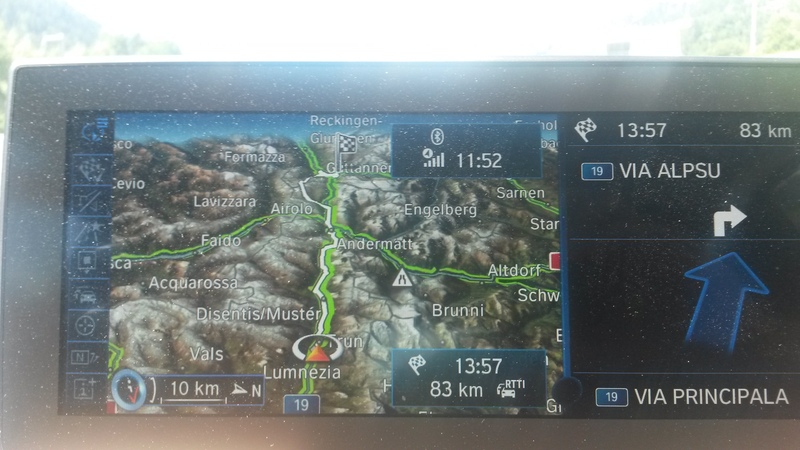 bmw’s sat nav takes it’s time and … after nearly a minute is still convinced we will make it to the grimsel pass with 2 kms left. 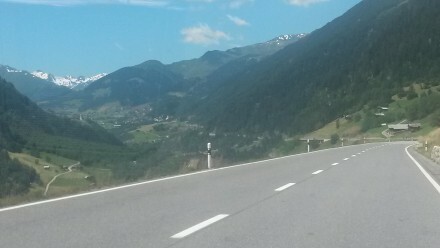 looking back we can see the valley with andermatt and the oberalp pass. what a beautiful sight! marc settles into his first alpine ev-adventure. 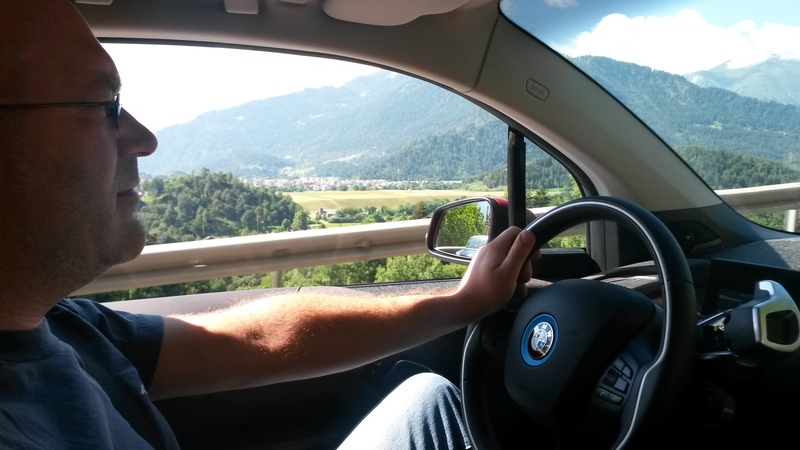 still experiencing some range anxiety, at least he is comforted by the fact that not only my estimate but also bmw’s range calculations confirm that we will make it up the grimsel. it’s as steep as it looks! 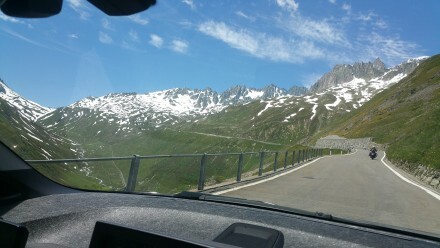 not much later, we arrive at the furka pass, the highest point for today. 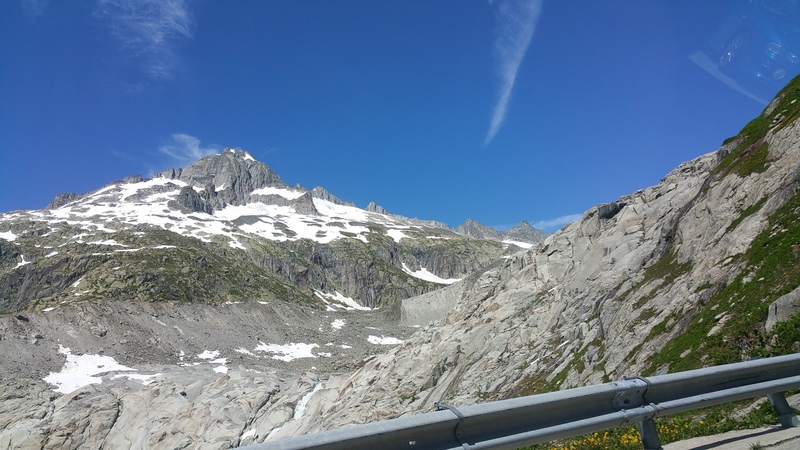 From here, we will, yet again, head down to the valley, just to start yet another climb up to the next pass, the grimsel pass. on the way down to the valley, we come past the rhone glacier – or what’s left of it. 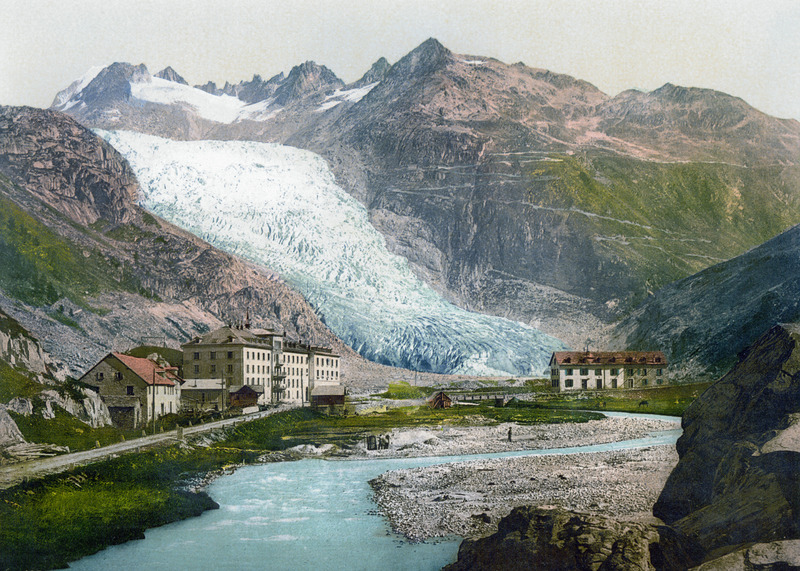 During the last 120 years, the glacier has lost more than 1300m – nowadays getting to the end of the glacier involves quite a hike! 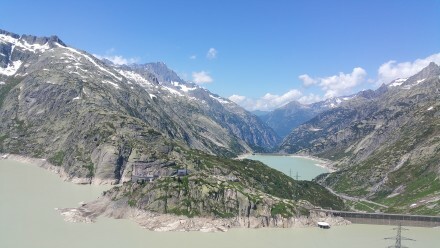 where did the glacier go? i found a picture on the interwebs showing the glacier as it was 100 years ago – looks like global warming… however, the average rate of decline has not accelerated during the last 80 years. the same buildings on the old picture above are still there today. after just 300 metres level driving, we’re back climbing the grimsel. the views from this side of the valley are stunning. glacier, mountains, valley and sky in perfect harmony. 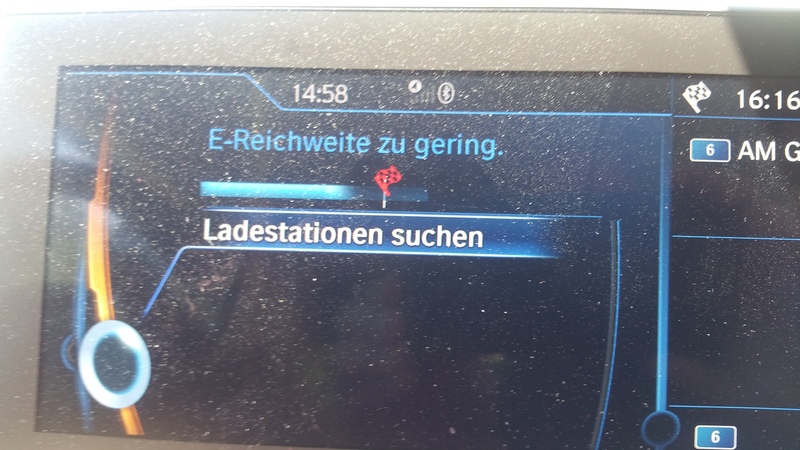 we’re happy that at 2000m altitude temperatures are at about 21° – perfect temperature for driving … and saving energy on air conditioning! 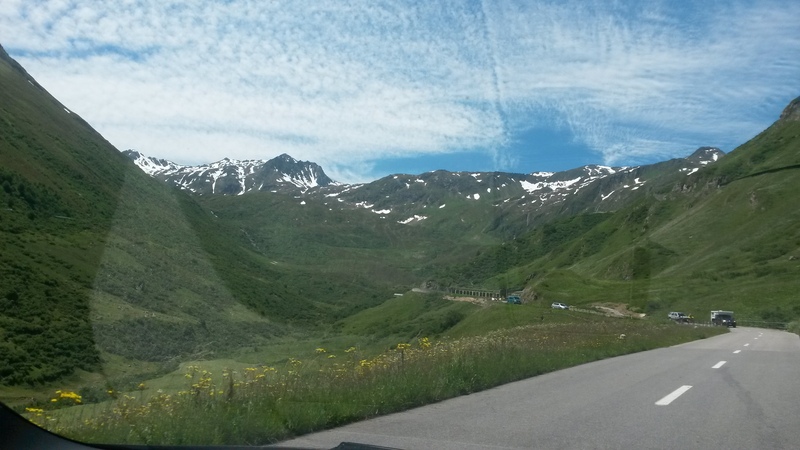 our road is lined with snow, slowly melting in the summer sun. after just a few kms, we make it to the top of the grimsel pass. Thoroughly nourished, we walk back to our ev and enter our final destination: a charging station in luzern’s suburbs … 89kms from our current position & with our last pass for today – brünig still lying ahead of us! 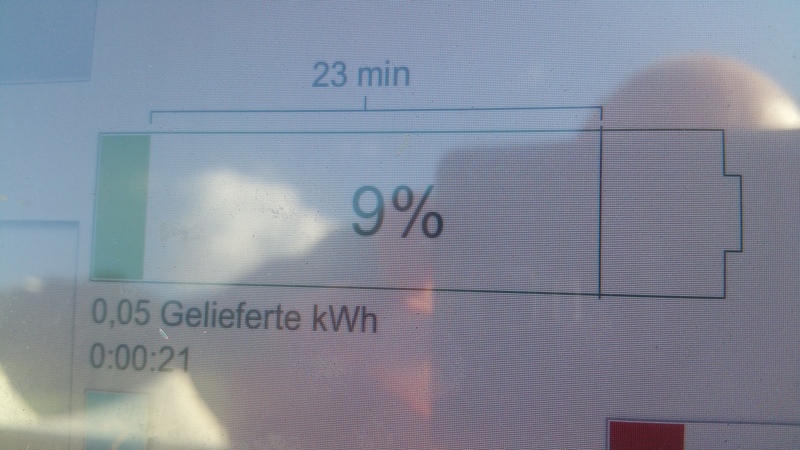 no surprise: 23km left and 89km to our charging station! after us making it until here, i’m confident we are going to make it to luzern. marc however is still very skeptical and curious at the same time. we start our descent and are recuperating like crazy – sometimes so much so that you can watch the range bar grow pixel by pixel every few seconds. we come across grimsel’s double dam setup – an impressive engineering feat! 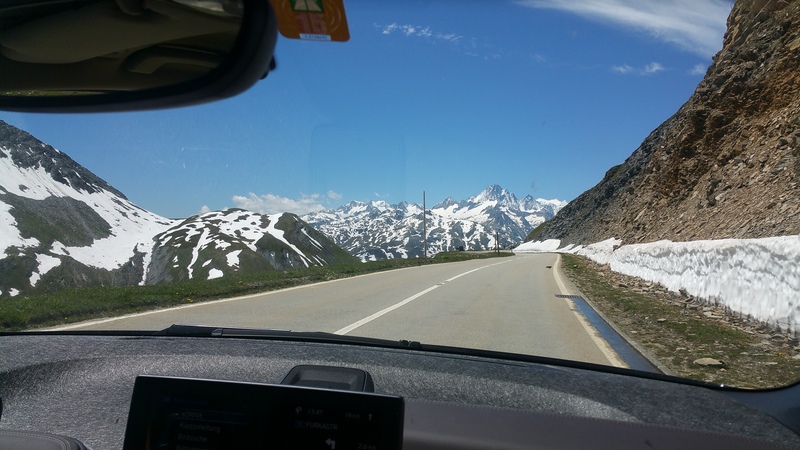 then, somehow, the rest of the trip zooms past us really, really fast: by the time we’re at the bottom of the brunig pass, our overly happy range display was showing over 80kms – at the top of brünig, just 12kms later, we were back to 40. More or less rolling down brünig at 0Wh/km we made good progress and slowly drove towards lucerne. 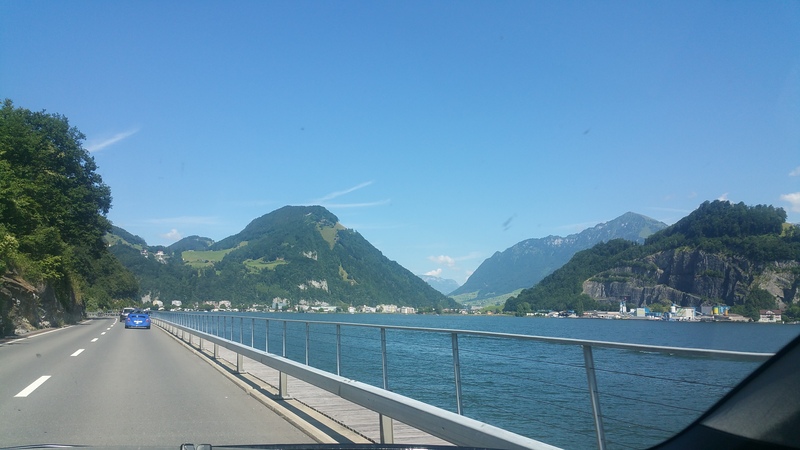 the region itself is one of switzerland’s premier tourist destinations & always worth a visit. 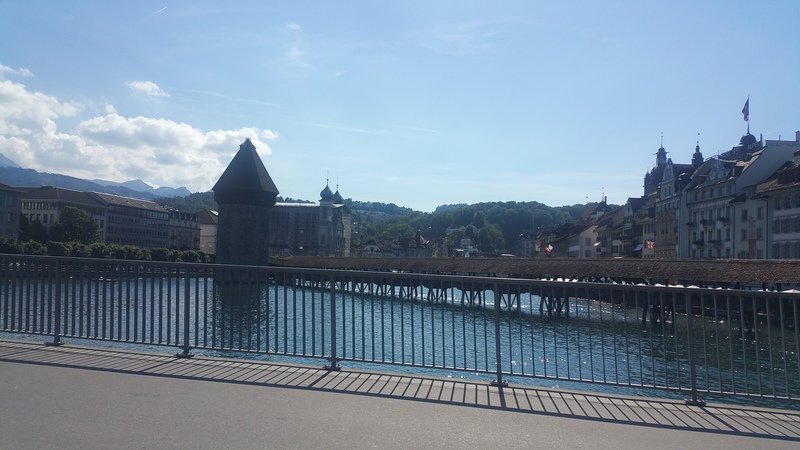 we enter the city of lucerne and drive across the main bridge from which literally 100s of tourists were taking pictures of one of lucerne’s major attractions: the chapel bridge. i, personally, like the spreuer bridge more – much less touristy, yet still close to the city centre – it shows a series of artworks forming a dance of death cycle, also known as “Totentanz” in german. the object of this art is to remind everyone that death comes for us all, whether old or young, rich or poor. 67 separate paintings in the rafters of the bridge each featuring at least one harbinger of death coming to drag people to the afterlife. monks, knights, nuns, and beggars are all seen being taken by death no matter their life. 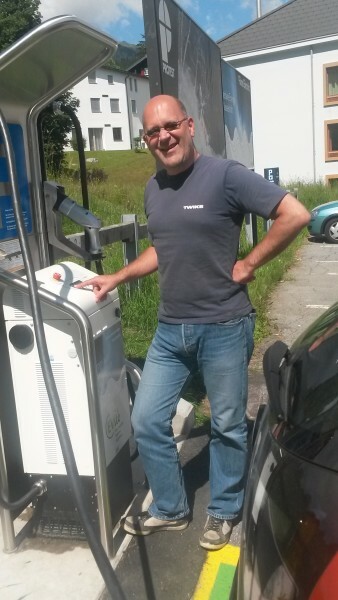 after crossing lucerne, we arrive at our charging station with 11kms left. 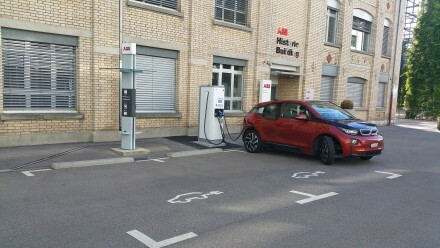 i had chosen this charging station, since it was one of the first ones offering 60kW CCS charging. 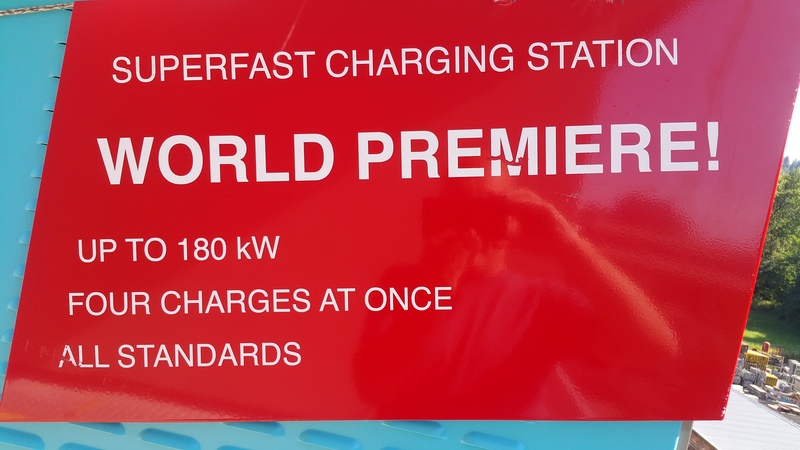 if you remember me writing about charging at a “coffee & charge” charging station during my recent ev-adventure crossing europe and russia, this charging station is by the same company but a different model – aptly called: “espresso & charge”! 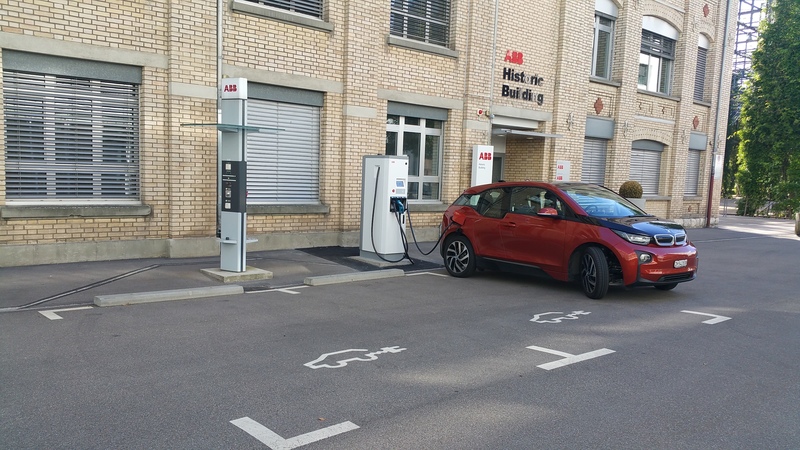 Multi-standard and simultaneous 43+kW charging on all four outlets – YUM! the charging station is indeed extremely new – it has been in operation for only about a week now. 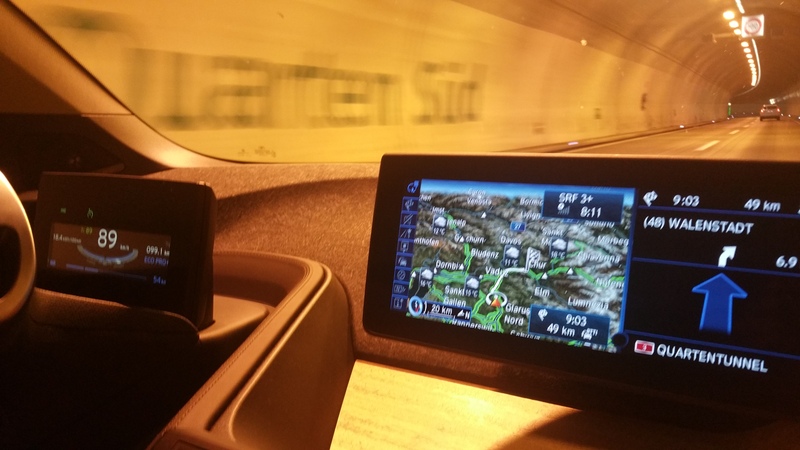 the display is super sleek and looks very good. 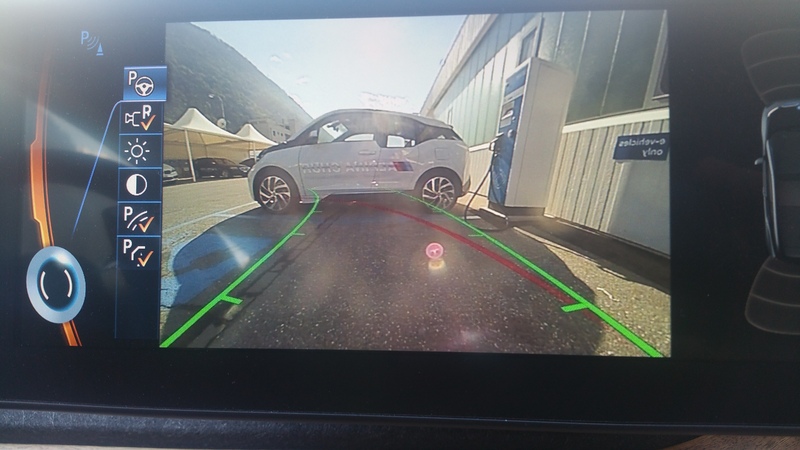 we start the charge and get in the car (with a/c at full blast, since we’re back to 400m altitude and parking in the sun. temperatures outside are around 32°C). and now to the question everyone has been waiting for: how was our consumption? 209km @ 90Wh/km over 4 passes! we’re very happy with the result. given the fact that we crossed 4 passes, were moving a 1.2 ton car and didn’t resort to extreme hypermiling techniques, 90Wh/km is very, very good. 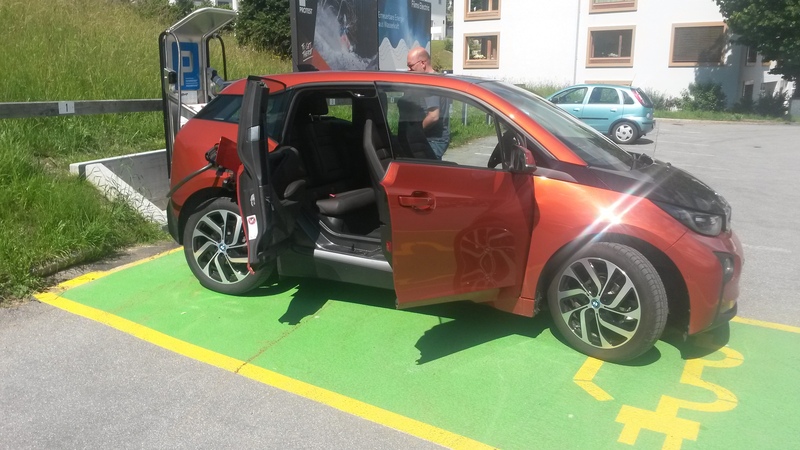 a TWIKE with two people would be somewhere around 40-47Wh/km. 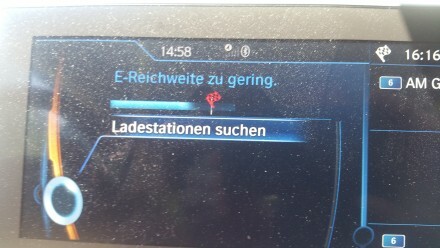 i check the charging station and yes, the charging process has stopped. (the high-pitched whining, however, did stay). with a full power-cycle of car and reset of charging procedures, we were back to a 50kW charge. to further aid battery cooling, we dialed back a/c and within another few minutes were at 80%. marc and i felt like having a celebratory drink before heading home and decided to drive to zurich oerlikon – not only because the lobby bar of the swissôtel is nice, but also because ABB just a few metres away had set-up a CCS charging station a week before (in addition to the already existing Park&Charge station) – which we wanted to try out. sipping on our drinks marc noted that he would have easily spent about CHF100 on fuel for the same trip – we did it for free – without any annoying RFID cards or other obstacles. all in all it was a very nice day and proves that a quick one-day dash across the swiss alps in an consumer-grade ev is absolutely possible nowadays – no fuss, comfortable and fun!